When Ravi Ragbir woke in Manhattan on January 11, readying himself for his regular immigration check-in, he had no idea that he would be spending that night incarcerated at the Krome Detention Center in Miami. Likewise, his wife Amy Gottlieb did not foresee she would soon be separated 1,200 miles from her husband—fearing he would be deported. 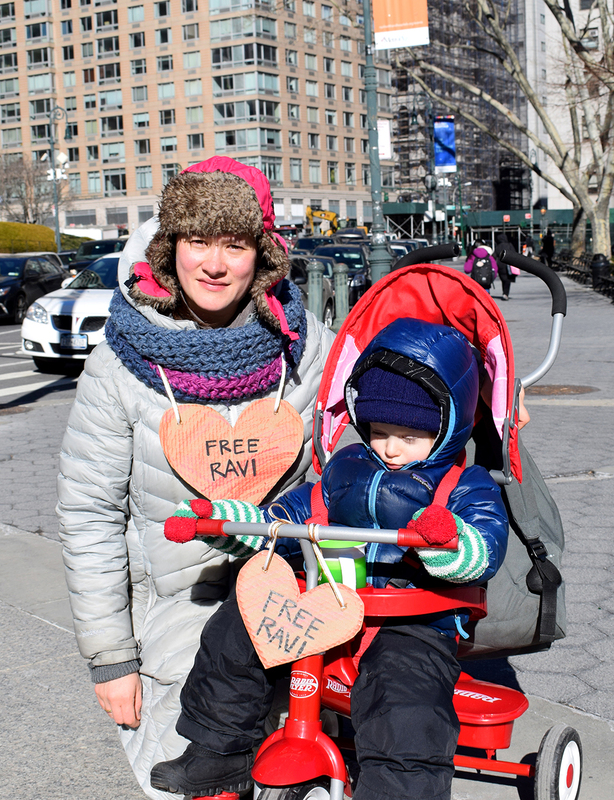 Ravi’s case highlights a cruel and capricious immigration system that shatters families and fractures communities, even in so-called “sanctuary cities” like New York. 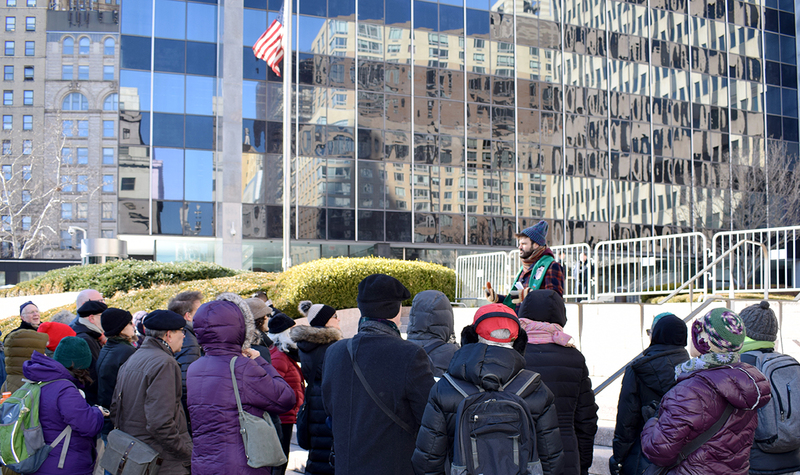 Two weeks later, a hundred or so New Yorkers braved the bitterly cold morning to join The New Sanctuary Coalition’s weekly Jericho Walk, which circles the New York City Immigration Court in Federal plaza. 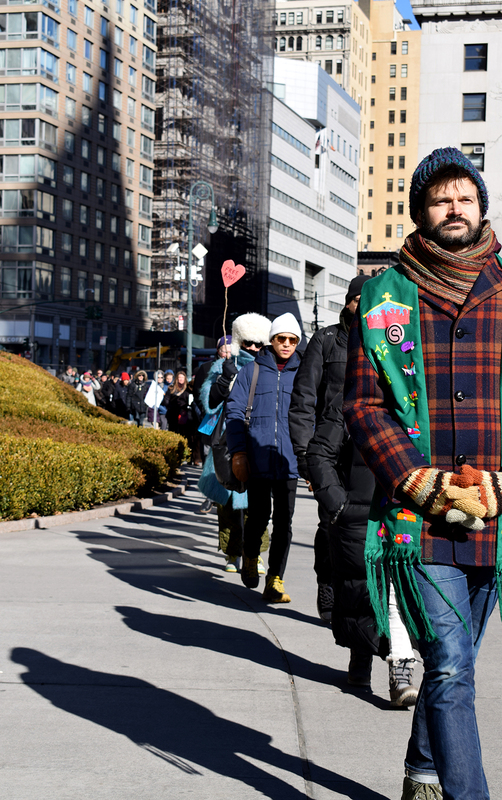 The Coalition has organized these walks for years to protest our country’s unjust immigration laws, but this week’s gathering had greater urgency. 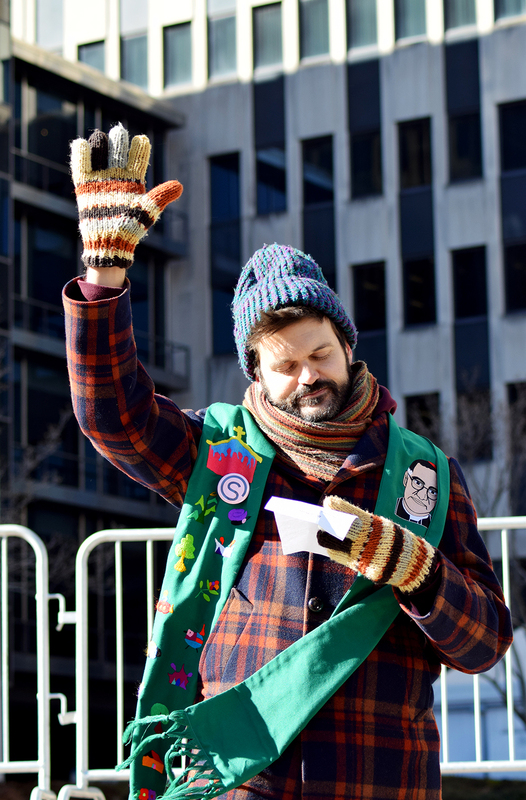 Since 2011, Ravi has served as the Coalition’s executive director; his detention and pending deportation weighs heavy on the hearts of those assembled. Ravi’s situation also puts a fine point on sanctuary cities’ limitations in protecting their residents. Officially, that moniker means that police will not inform federal immigration officials if they arrest an undocumented immigrant. This narrow definition of “sanctuary”, however, offers scant protection for many immigrants who are targeted by ICE. New York’s sanctuary city status did not stop Ravi’s detention, nor the recent deportation of New Sanctuary Coalition co-founder Jean Montrevil. Even the promise of local police not to collaborate with immigration officers is murky at best. “There were NYC police officials clearing the way for the ambulance taking Ravi to detention for deportation,” Emmer notes. Dawn Stewart-Lookkin and her son, Victor. The Jericho Walk marches in silent procession.